There’s Intel inside Google Stadia, so why is no-one talking about it? The disruptive Google Stadia streaming service made a hell of a splash, not only at the Game Developers Conference in San Francisco but also on the stock market. And I’m not just talking about Google here either; one of the biggest winners from the whole Stadia excitement has been AMD. On the back of the merest mention of Radeon GPUs being at the heart of the Stadia datacentre tech, and with Dr. Lisa Su namechecked and sat in the audience at the Google presser, AMD’s share price rocketed 20% from its starting point ahead of the announcement. That’s big news, and a serious fillip for AMD’s business as a whole. The company is providing the graphical heartbeat of what could be one of the most disruptive platform releases in gaming history, and is reaping the benefits off the back of it. 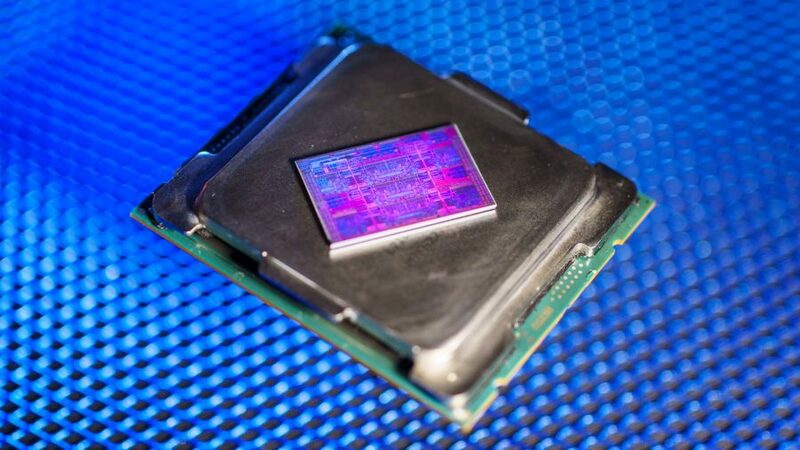 AMD was one of the few partners Google mentioned on-stage at the reveal event – alongside a few middleware vendors, such as Havok – and that was because it’s the one providing the key technology. But not all of it. Because AMD was the only hardware manufacturer Google namechecked in San Fran I automatically assumed it was providing both the custom Radeon datacentre GPU as well as the custom x86 processor too. They mentioned ‘Hyperthreading’ on the specs slide, but I figured it was just mistakenly being used as a catch-all term for simultaneous multithreading. 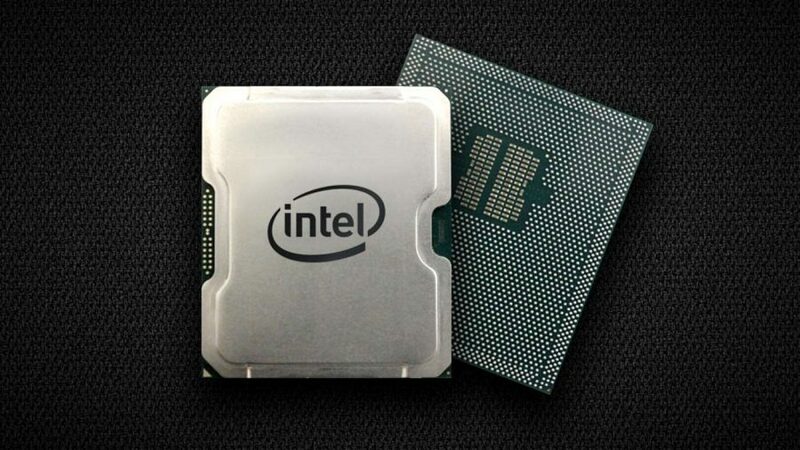 After all, if Intel was manufacturing the custom 2.7GHz x86 CPU for Stadia surely it would get a mention too, right? Just a little ‘Stand up, Bob, thanks for the processor!’ or something. 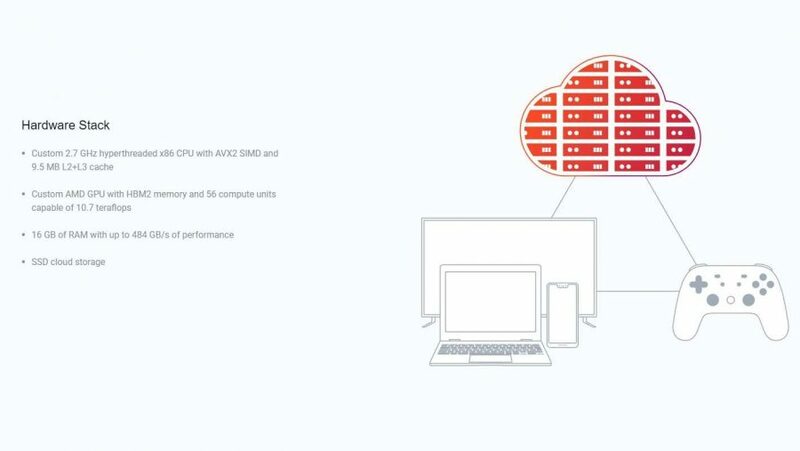 And with AMD’s recent rise in the datacentre, and with the prospective power of the upcoming Zen 2-based Rome processors on the way, it seemed like a fully AMD-powered datacentre for Google Stadia made sense. But that’s not the case; AMD contacted me the morning after the event to assure me that it has nothing to do with the current processing component of the Stadia backend. Yet it has to be an Intel chip at the heart of the Google Stadia platform, despite the company steadfastly refusing to acknowledge who is actually providing that silicon. The confirmation on-stage that it is a custom x86 CPU means that, with AMD discounted from the running, it can only be Intel or VIA. But VIA is so heavily invested in bringing x86 chips to the Chinese market through its Zhaoxin offshoot that the current climate in the US would surely preclude Google from going that way for its own Stadia processors. But Intel’s being rather quiet on the Google front too. We’ve reached out to our friends at Intel for a little light confirmation and are still waiting to hear back. The fact that it can’t just immediately turn around and acknowledge its silicon presence in Stadia is strange, and I think we can count the complete reticence on anyone’s behalf to openly state that Intel is part of the service’s tech platform as utterly bizarre. Especially in light of the huge financial boon it seems to have been for AMD just to have been spoken about in the same breath as Google Stadia. Why wouldn’t Intel have wanted the same sort of value bump? Hoping for a similar 20% share price increase might be asking a bit much, but it would surely have seen some improvement. Maybe Google just doesn’t see the CPU as a particularly important part of the Stadia setup… though if that were true why specifically mention the custom x86 chip at all? Maybe it’s Intel. Maybe it’s decided that Google’s new game streaming venture is doomed to failure and wants no association with it beyond providing some custom CPU silicon without a manufacturer credit. 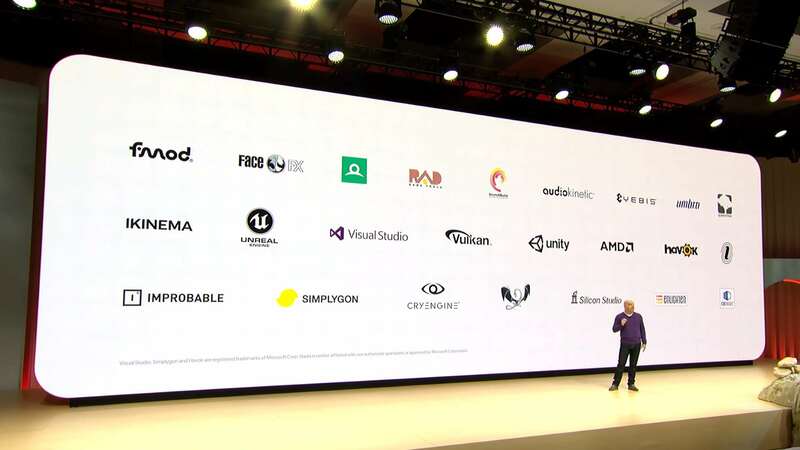 Hell, there wasn’t even the smallest Intel logo buried within the list of hardware and middleware Google Stadia partners. A switch to AMD’s EPYC processors has been mooted as a potential future step for Stadia, and Google’s Phil Harrison told us himself that “we’re just talking about Gen 1 at the moment, but there will be iterations on that technology over time,” so there is some potential for a changing of the processor guard either before or after launch. Whatever the truth of the matter is I still find it beyond strange that no-one involved is talking about the Intel CPUs being used for Google Stadia, even if they’re not necessarily doing anything that special with regards the innovative streaming service. Certainly the multi-GPU features on offer with the Radeon graphics cards warranted mention, but just a note on the specs slide alone could have still done good things for Intel. For whatever reason Google didn’t want to namecheck the semiconductor giant, and as of yet Intel seemingly doesn’t want to have its name associated with the new gaming platform either. And, nosy fecker that I am, I’d dearly love to know why. Any other suggestions?